Secret Recipe invited me over a couple of weeks ago to experience their latest food sets, on promo for their Sweet 16 birthday promo. Each (very big) meal is priced at only RM16, and the promo will run from the 16th to the 30th of November. I was lucky because my meal was perfect for me (okay not 100% perfect, another blogger got the sweet tooth booster combo, now that was perfect!) 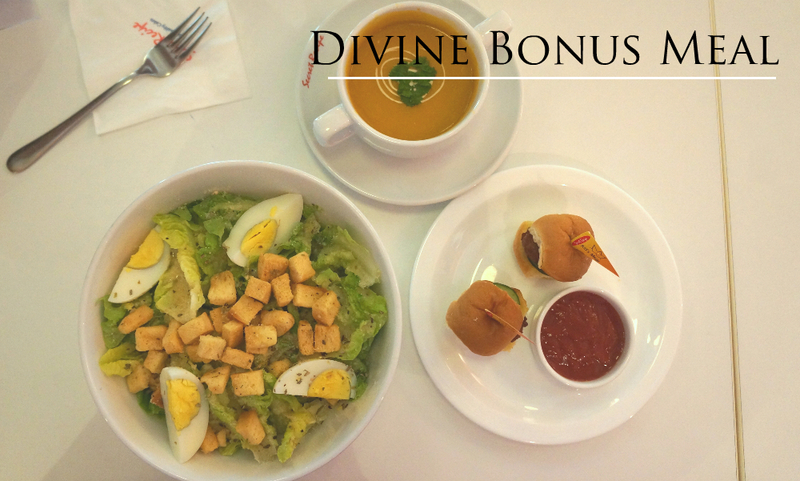 - I got to try the 'Dovine Bonus Meal', which consisted of a pumpkin soup, caesar salad, and two mini burgers. Here's a quick overview of the meals on promo, plus pictures of me with my meal promo board and the meal itself. 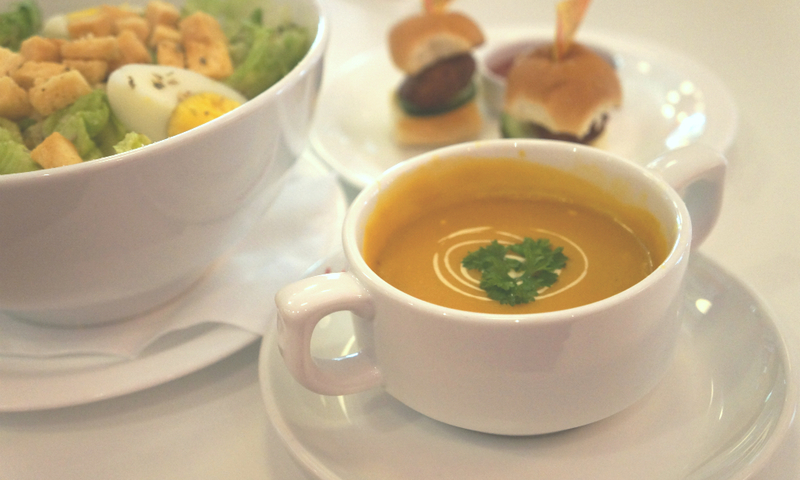 I started off with the pumpkin soup - hearty and flavourful. I am not a fan of pumpkin soup because some of them can be quite powdery - I hate any food with a powdery kind of texture - so this was a pleasant change from the norm. Even J, who was there with me (he was my driver :)) enjoyed the soup. 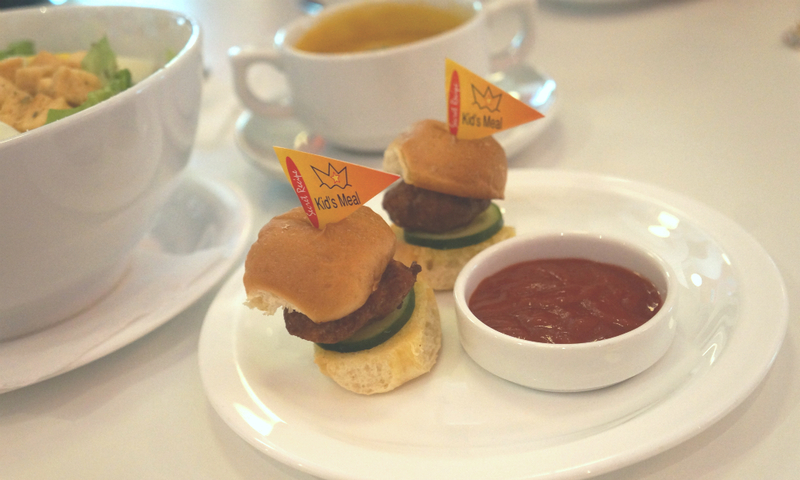 Next came the mini burgers. These were really yummy, and I love that they were bite-sized - so much easier to eat in front of strangers! Don't let them Get cold though - they will be a little tough! I would say that the caesar salad was the star of this meal set, but I enjoyed the other parts of the meal so much this wouldn't be true. This was really, really good though, because there are so many caesar salads with lousy, intensely mayo dressing. 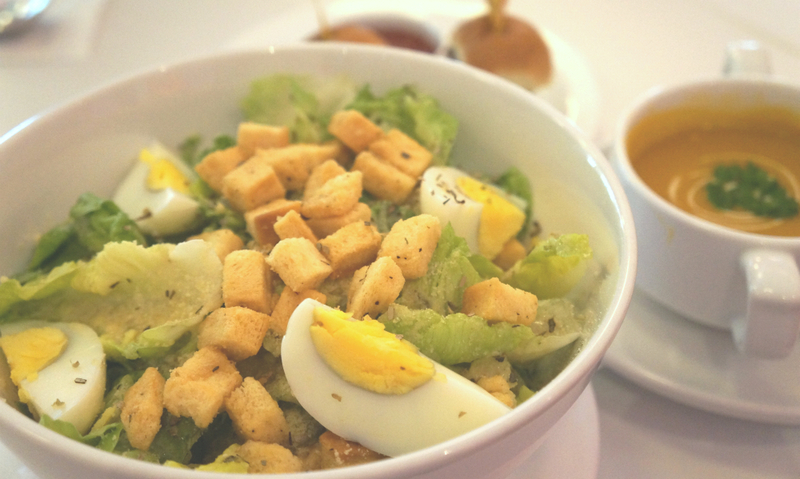 Caesar salad is NOT made with mayo, and Secret Recipe, much to my delight, knows it. There are also other promos running simultaneously with this RM16 promo - a cake promo that gives you RM16 off an entire Secret Recipe cake - but this promo lasts for only ONE day, on the 16th of November! 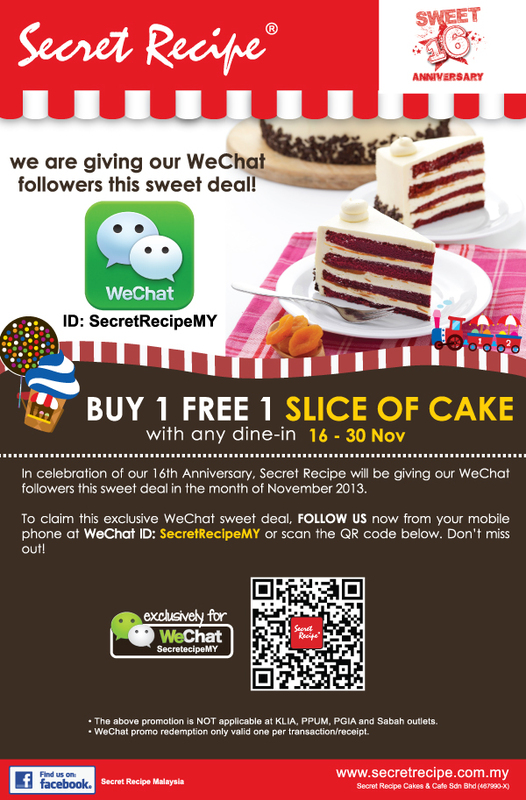 Also, if you follow Secret Recipe on WeChat, you get (between 16 and 30 November) a one for one deal on all slices of cake in store. I personally am a fan of Secret Recipe cakes (namely the Carrot Cake and the Banana and Chocolate cake), and am now a convert, having tried their food. Definitely worth a try if you haven't already tried it.